(Woman in crowd): "We love you!" (Julien): "I appreciate it. But it's so soon. I'm more of a take-it-slow kinda gal." It was my second time seeing Julien this year, and she's really matured as an artist. 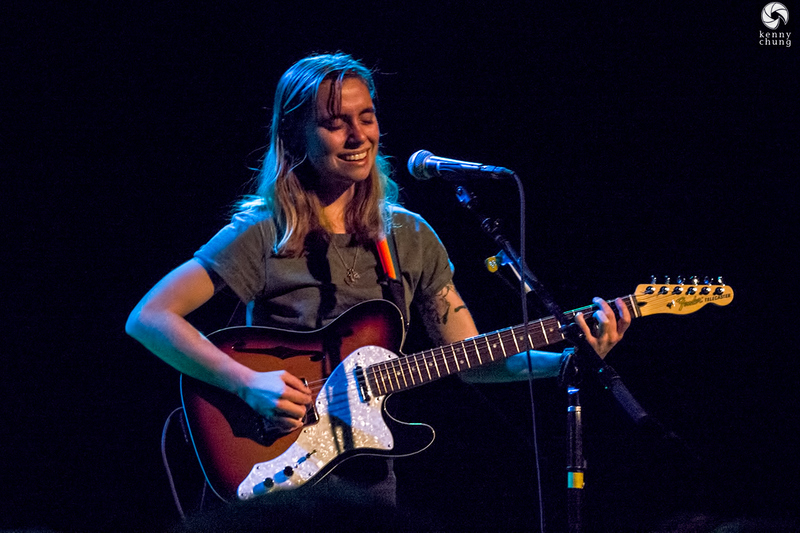 No longer searching for awkward stage banter and more confident in the capabilities of her voice, she continues to effortlessly captivate the audience with her raw lyrics and powerful delivery. 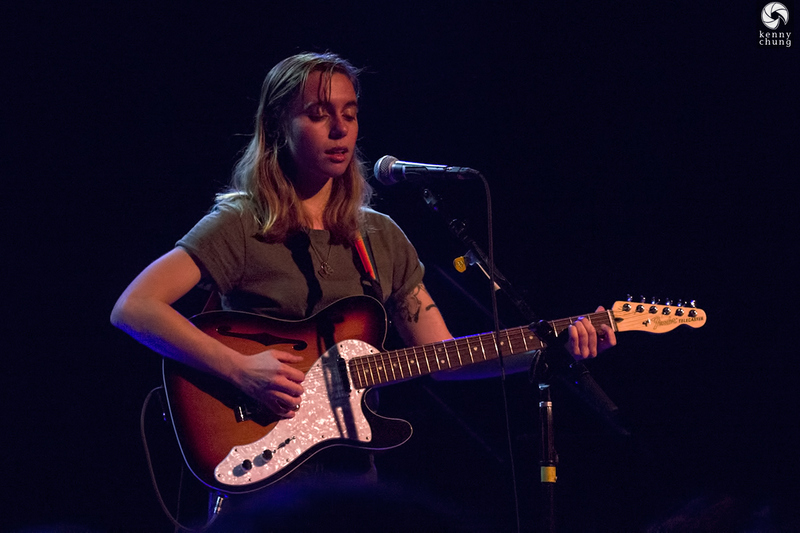 When her fingers plucked the strings of her Telecaster and her voice filled the sold-out venue with melancholy, she commanded silence, save for the occasional "wow". It was so quiet you could hear a pin drop - or more accurately, you could hear an iPhone hitting the floor (which happened more than once). Julien took the stage at 11 armed with what looked like a new Fender Telecaster Thinline. 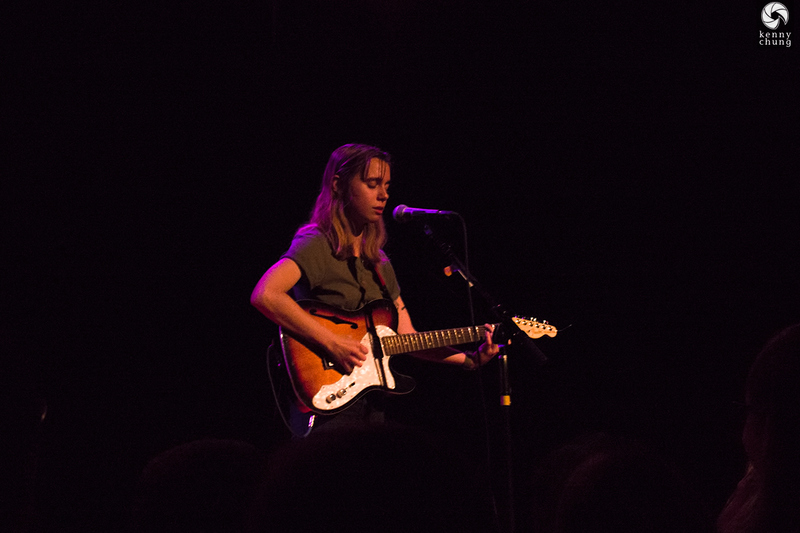 Her setlist was very similar to her Bowery Ballroom one, but her cover this time was Death Cab for Cutie's "Photobooth", which she had previously covered for A.V. Undercover. As always, Julien's Telecaster tone was amazing. Glassy cleans, especially apparent for double stops like on "Vessels", which I've embedded at the top of the page. 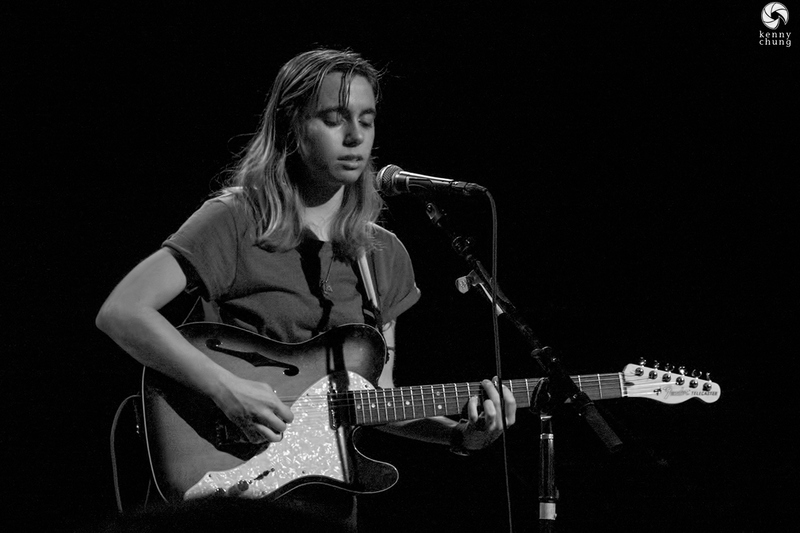 She also played two new tracks, one of which was "Funeral Pyre", which she jokingly referred to as "Sad Song 11" during her NPR Tiny Desk concert. The other song seems to be untitled, but the Internet seems to have taken to calling it "Sad Song 12", which seems appropriate. 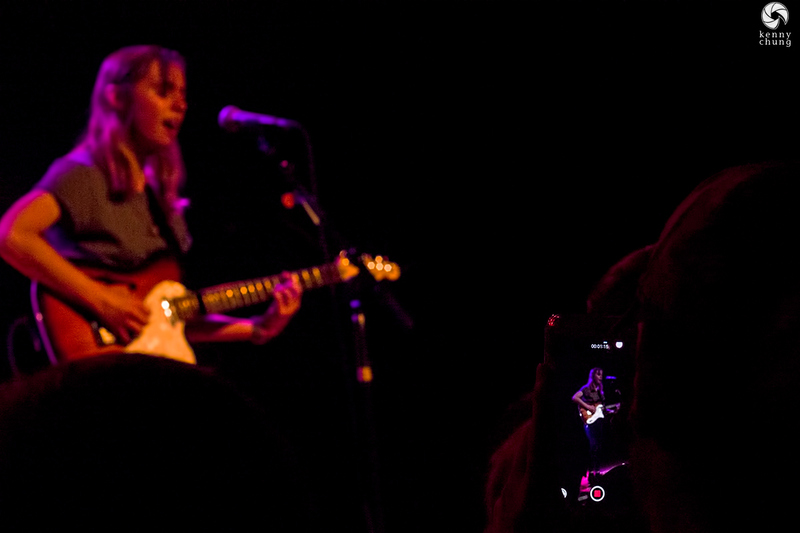 As is my habit, I always like taking photos of other people taking photos/videos of bands. I recorded a video of my own when she played "Rejoice". She played her entire album and then saved "Go Home" for the encore. Perhaps a not-so-subtle signal for all of us to leave?